When preparing a video for deployment on the web, I often hear questions about the best setting for video encoding. Often this question is answered with a series of other questions. Are you being provided with any video specifications? 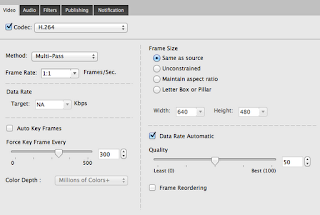 Do you know what medium you are encoding the video for (web, DVD, etc.)? How will the audience be viewing the video? It also depends on your method of transferring the video file to its final destination. Do you really want to push an hour long uncompressed HD video file through a dial-up connection? The most important thing to remember when encoding video is: “garbage in – garbage out”. It’s very important to start with the highest quality video as your source. Archiving your video as a DVD video and then encoding from that DVD only adds to the compression artifacts of the final encode. It's always important to archive your videos in the same format they were created in. 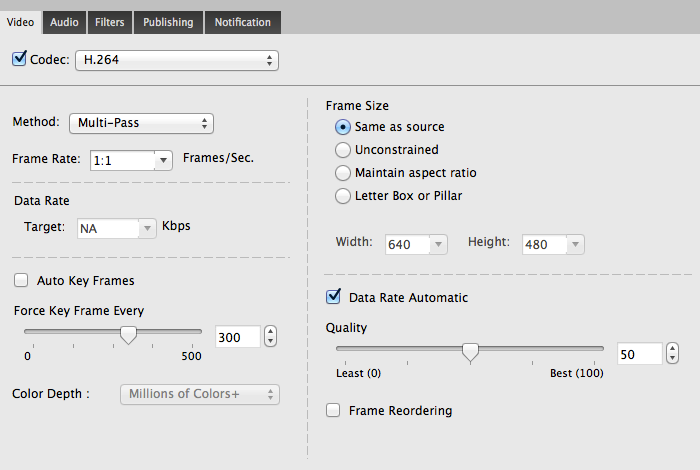 Changing the video encoding specifications. When you begin to encode, the best situation is when you’re given the exact specifications for the file that you are to provide. If you have the dimensions (how wide and how tall), the frame rate (how many frames per second), the data rate (what is the maximum amount of data that can be transferred each second) and the codec that is required (the format to compress the video), all you need is the right encoding system or software with the appropriate codec installed. In a future blog we'll discuss the software options available for video encoding. If you aren’t given the exact specifications, you need to work with the information you have, and fill in the blanks with educated assumptions. The most important of the questions is: who is the video for and how will they be viewing it. The “Who” part of the question, allows you to make an educated guess on what bit rate to use. Since the bit rate is the amount of data that is delivered to the video player every second, it’s important to know how fast a connection your audience has to the Internet. There are a number of websites that will allow you to check your speed, I sometimes use http://www.bandwidthplace.com/. The “How” part of the question will let you know what codec to use and what type of video wrapper. The wrapper is the document format used to play the video. Is it going to play back as a QuickTime movie, in a Windows Media Player or as a Flash movie? These are just some of the different types of video wrappers (stay tuned, video wrappers may be the subject of a future blog). When archiving a video, I often recommend storing it in its original source format. When editing a video, this means exporting it out as "same as source" of the final sequence. I generally archive my projects with "same as source" for the codec and QuickTime as my video wrapper. To date, QuickTime seems like the most universal of the wrapper types. When you have an educated guess, the settings you use on a video become a compromise of size versus quality. Even the most seasoned video specialist will use a saved setting as a starting point and then tweak that setting based on a sample of the actual video. In a future blog we will discuss using YouTube as the video server for your website. This makes it possible to serve up video that works on virtually all browsers without having to write a whole lot of fancy code. Until then, here's a short clip of my dog Max, doing his best impression of the MGM lion.